Trying to capture the speeding train has long been the hobby of many, with the National Railway Museum even dedicating a recent exhibition to the topic of Trainspotting. One photographer is particularly worthy of mention, both in terms of the scale of his work and also the scenes that he was able to capture, but he was more interested in civil engineering and construction than locomotives. Read on to discover more about the photographic genius of Sydney Walter Alfred Newton. Newton was a professional photographer with a studio at 19 Belvoir Street, Leicester and followed the profession of his father, Alfred in his small photography business, Alfred Newton & Son. Sydney joined the family firm in the 1890s. As a keen photographer he began documenting the building of the Great Central Railway near his home in Leicester, a line that would connect Nottinghamshire with London. Newton’s photographs of the construction of the railway are somewhat different to what you might expect to find. 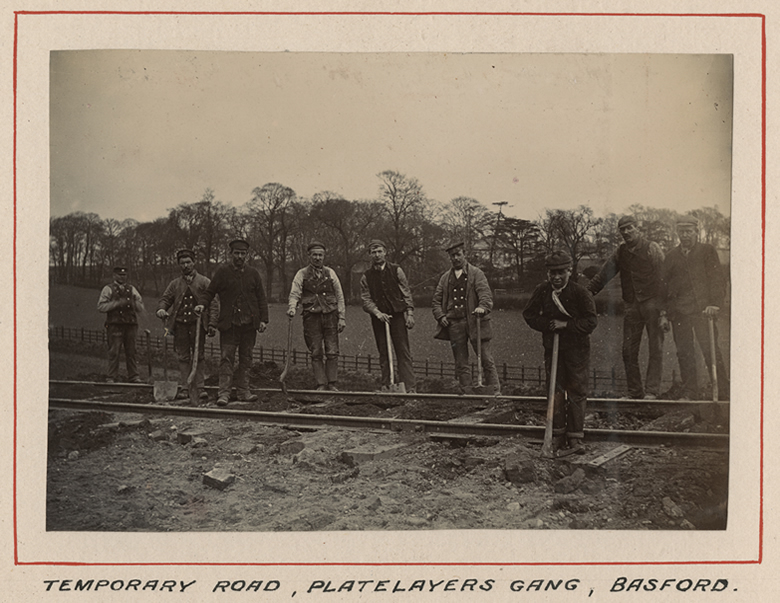 They possess value not only in their recording of the construction of the railway network, but also give a rare insight into the workers – the ‘navvies’ – who built it. In many photographs that depict the construction of the railways, the navvy is either absent, or shown as a faceless speck in the distance. This is perhaps due to the railway company chiefs’ desire for the photographs to document engineering and construction, rather than the men at work. But their usual absence is also reflective of the social view of navvies that prevailed for much of the nineteenth century. The original railway builders were considered a dangerous underclass, with little concern given to their welfare, let alone their depiction in photographs. They were travelling workmen, camping by the side of their tracks, with families in tow and leaving a hard and demanding life, that often offered little in reward. By the 1890s and the construction of the Great Central Railway’s London extension, however, their lot had improved, with the provision of company housing, schools for their children, missions and churches. Looking at the images they certainly inject railway construction with a more human face, showing the clothes, tools and hands that were used to complete the project. Although the names and identities of these workers are not given, the images at least allow for an understanding of the vast human labour that was needed to build the line. Newton’s determination to document the whole line and more gives us a thorough picture of the construction of a railway network, and also shows the often invisible network of men who played a key role in the railways that we ride on today. 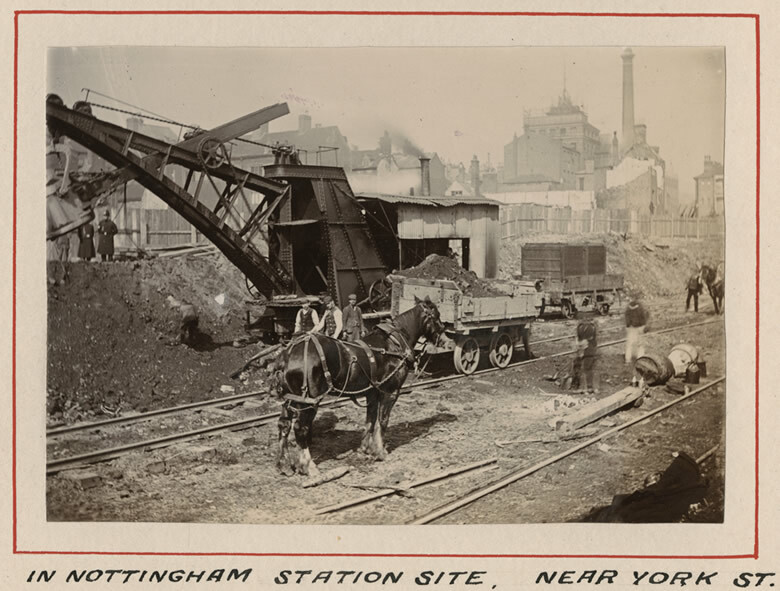 The National Railway Museum has over 240 Newton photographs within its vast collection, featured in an album of his prints compiled in 1898 by Logan & Hemingway of Nottingham, contractors who built a section of line. 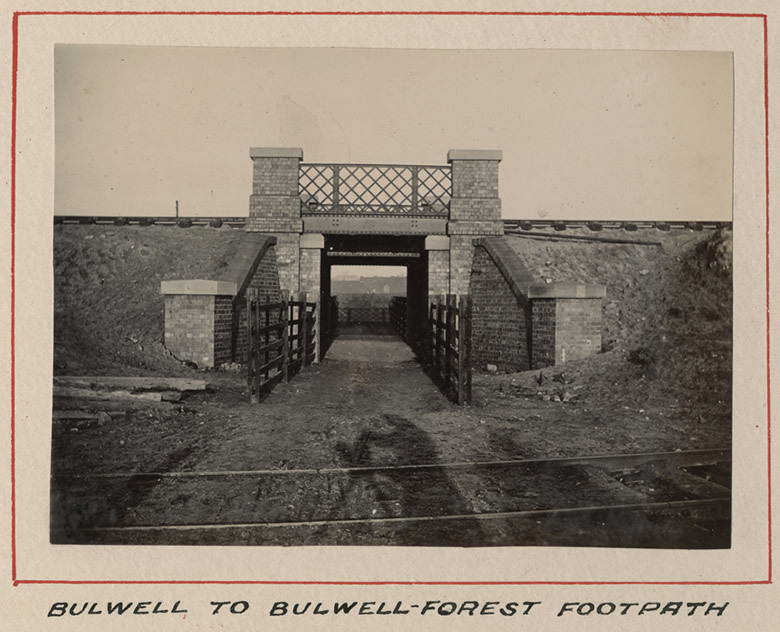 His album forms part of a large collection of photographs of railway construction in the nineteenth century held in our archives. 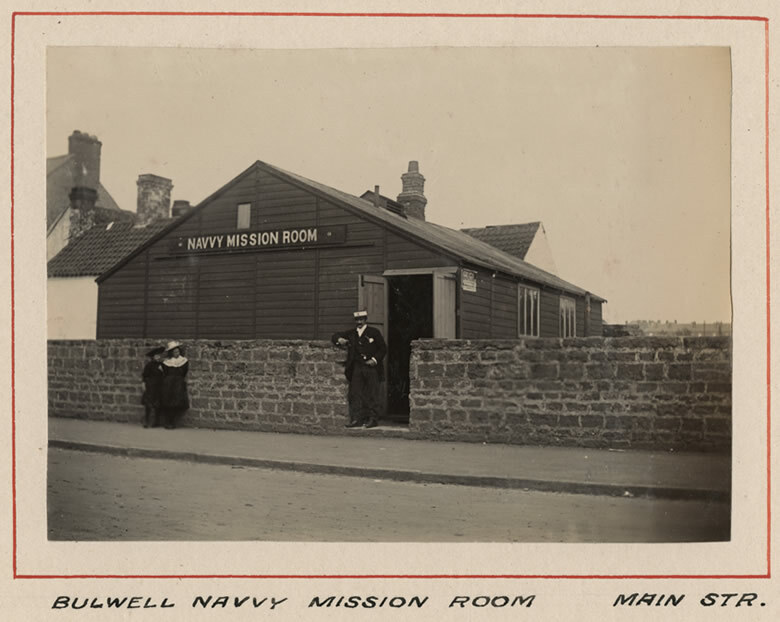 The bulk of the S W A Newton collection, however, is in two archives, the Record Office for Leicestershire, Leicester & Rutland and the English Heritage: National Monuments Record in Swindon. Together they total about 5,000 images. Our photographic collections can be seen in our library and archive centre, Search Engine, which is open four days a week.